Search Engine Marketing – PPC is the tool offered by Google that allows marketers to show their advertisements on the top after being searched related to it. First thing is the full form of PPC i.e ‘Pay Per Click’. As the name suggests itself, its the purchase of visitors on your site from Google, as opposed to gaining those visits naturally. 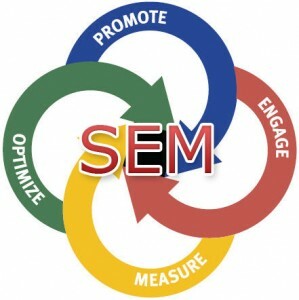 PPC is a model of digital marketing in which promoters pay a charge each time, one of their advertisements is clicked. PPC is very useful in increasing traffic even when you are ranked organically for the same keywords. It has been observed that when a website is ranked on the first page of search and also opts for PPC the traffic obtained is greater than the sum of organic and PPC each on a stand-alone basis. Also, PPC offers a way for a new website to get fast as SEO takes time. Search engine advertising is amongst the most famous types of PPC advertising as it enables search marketers to bid for the placement of ads in the sponsored links of a search engine when someone searches for a particular keyword that is identified with their business. For better and quick results PPC should be your bet. Your ad will be displayed as long as you are bidding for it. 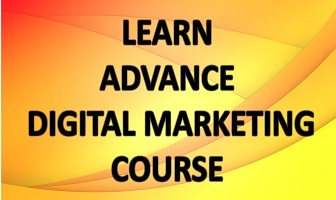 You just heard a word ‘bid’ you know what it is if you are familiar with PPC but if not, we can tell you here in brief and for learning more in details you can join digital marketing institutes in Delhi. The CPC(Cost-per-click) bid is the actual amount an advertiser pays for each click on an ad. A higher bid generally helps your ad show in a higher ad position on the page. A bid that you set to determine the highest amount that you’re willing to pay for a click on your ad. You will choose between Manual bidding (you choose your bid amounts) and Automatic bidding (you set a target daily budget and the Adwords system automatically adjusts your max. CPC bids on your behalf, with the goal of getting you the most clicks possible within that budget). Now the question arises what is Adwords as it came in the previous line. Google Adwords is the absolute most famous PPC advertising framework. It empowers organizations to make ads that show up on Google’s SERPs search engine result pages) and other Google properties. In simple words, we can say that Google Adwords is the system or frame which handles PPC. Adwords allows you to take advantage of the benefits of online advertising: show your ads to the right people, in the right place, and at the right time. Adwords offers the choices that you have with it and that can make your marketing campaigns even more targeted:- Keywords- words or phrases relevant to your products and services, which are used to show your ads when customers search for those terms or visit relevant websites. Ad locations- show your ads on Google search results pages and websites that are part of the google search and display networks. Age, Location, and Language- Chose the age, geographic location, and language of your customers. Days, Times, and Frequency- show your ads during certain hours or days of the week, and determine how often your ads appear. There is one more very important term in PPC is Quality Score. According to Google Adwords, Quality Score is the estimate of the quality of your ads, keywords and landing pages. Higher quality ads can lead to lower prices and better ad positions. The more relevant your ads and landing pages are to the users, the more likely it is that you will see the higher Quality Score’. If you find this PPC and it’s marketing way useful for your business or career, you can join digital marketing training in Delhi.